the texture needs an alpha channel... but apart from that I don't know. With out the alpha channel my roads cover in snow, but with the alpha channel there is a light dusting of snow but at other times the texture looks pants. Never figured out what the issue was. Tom explained it in Discrepancy's roads thread. If you have the PNG in photoshop add a layer. Drag that layer underneath your main other layer. Now select the layer with the texture and use the erase tool with opacity at 50% (That is the value I used) and erase all. Then save for web PNG 24 with transparency checked and it works for me. can you make a tuto with edited pictures in the tutorial subforum please ? It is really east red. 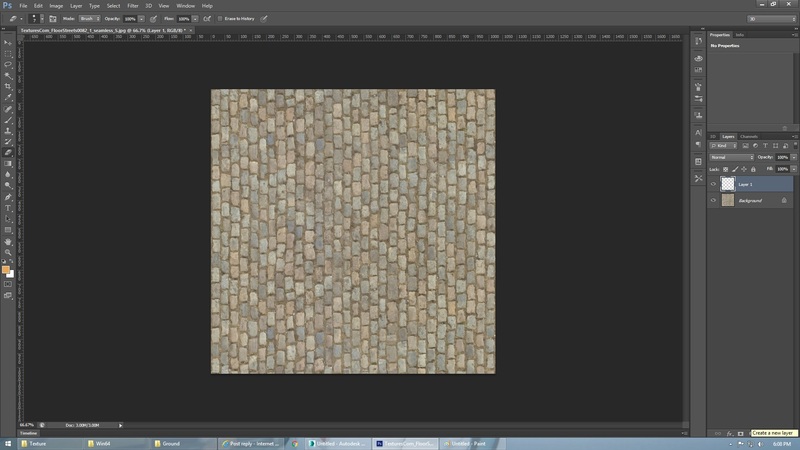 Now add a layer and drag that layer underneath your image with the texture. Then go to channels and add a Alpha Channel. You not have to do anything with the layer and Alpha channel. 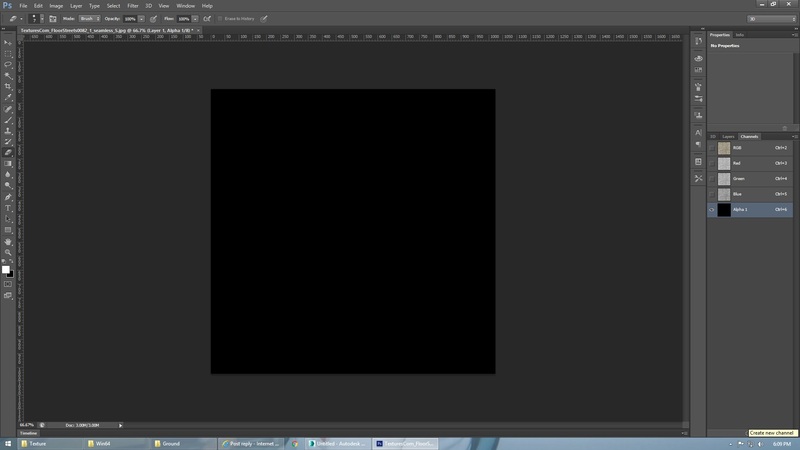 Then go back to your image and set the eraser tool at 50% opacity. Then erase the whole image and after that is done save for web PNG 24 with the transparency checkbox checked. That is all I did and it works. The fourth pictures is saving for web settings. layers arent in the same tab as my image texture ! 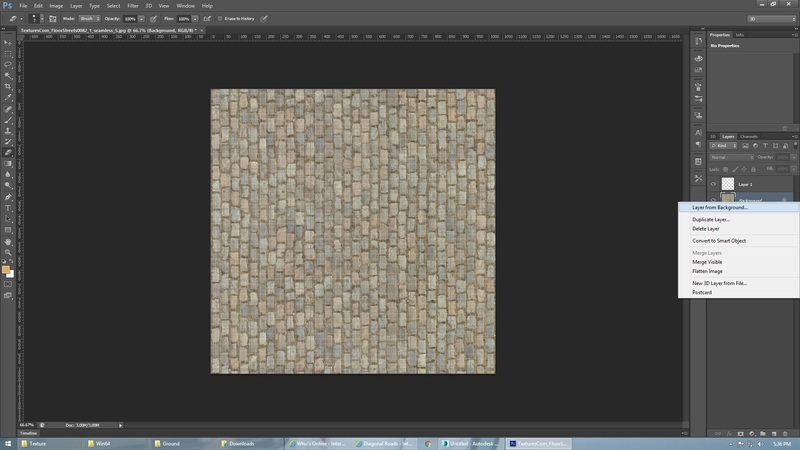 my image with my texture is in previous tab named Calcs. and there is another tab name Traces. as you see the comments in the screenshots, this is why i never understood Tom and i still dont understand you, Embx ! Your alpha layer is good. Your other is good to but the layer need to be under the image layer. You cannot drag your layer because your image is set as background. The image was flattened so it is background and locked. Just right click on the image in the sidebar wher also the layer is and select in the menu what pops up "Layer From background"
Just accept the default values and the image is now a layer with no lock. Frenchy Photoshop confuses layers and channels.^^ Layers are in the first tab and channels in the second. 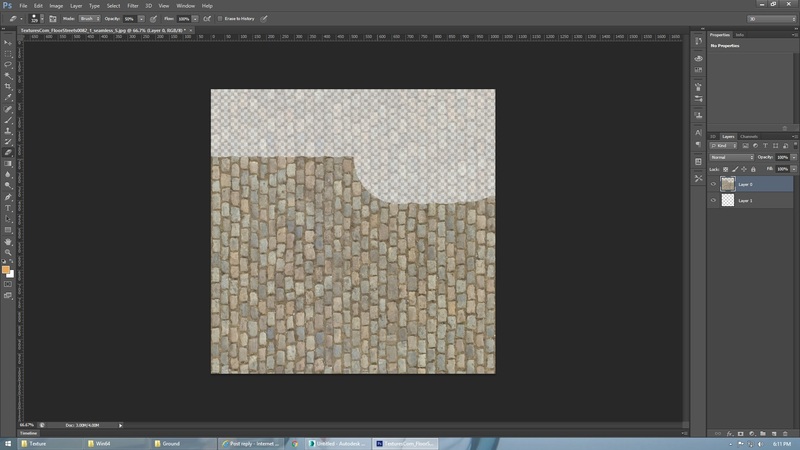 You need to place the transparent layer below and to erase parts of your texture on top. RGBA channels don't need to be touched. My French is so bad besides Merci, Qui and Non I not even saw that indeed it is different in the French version. But he is almost there. 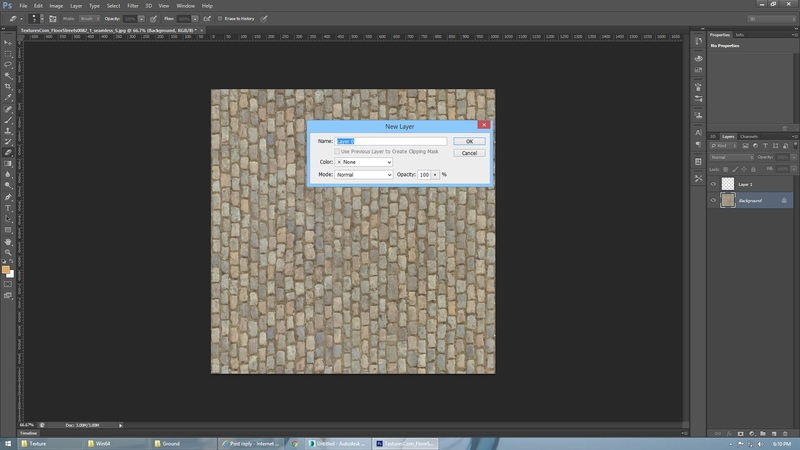 Here a picture of renaming the texture layer. So right click and the menu pops up select the top one "Layer from background" and just click OK in the dialog what pops up. Now the lock is gone and you can drag the created empty layer underneath the image later. So select the image layer and use the eraser tool with 50% (Can be different depending what you want, but 50% worked for me) and erase the whole image. The image becomes whitish. If this is done save for web and that is it. You have everything right so far. Your Alpha channel is okay so need to go to there. You already created the layer. All you need to do is drag that layer so it is underneath the background image. But you see a little lock in the side bar. That means the image is flattened so a background. So right click in the sidebar as my picture above shows and a menu pops up. Select the top option "Layer from background") and then a dialog pops up. Just accept the default values and click OK.
Now you see the name is changed to layer0 and the lock is gone. Now you can select the created empty layer and drag in underneath the now named layer0. Now all is set to erase the layer0. Select layer0 and select the erase tool. Set opacity at 50% and erase over the whole layer0. When done save for web. Sorry, I do not know how to explain it any better. You did everything right so far. You created the layer and the Alpha channel. All is now to get that layer under the image layer. Then all is set to erase and save for web. Now add Alpha Channel. See it is under a different tab and you see RGB. Now the layer we created earlier need to be under the back ground layer. It is now above it and because the background layer is locked (You see a little padlock) you can't drag the layer underneath it. Just double click your background layer in the side bar and a dialog pops up. Just accept the default values and click OK. Now the lock is gone and the layer is renamed layer0. Now you see that little padlock is gone and now you can drag the empty layer we created earlier underneath the layer0 with the image. Now select the layer0 in the sidebar and select the Erase tool. Set Opacity at 50% and erase over the whole image. i understood with your screenshots ! the part with the screenshots helped me alot. It took me a bit before I understood it when Tom explained it to me. I was thinking way too complicated and was messing with the Alpha Channel what was not needed at all. Now you know it is really easy. Some images are not locked so the layer can be dragged underneath the background layer without having to rename it (Step 4) what makes it even easier. Glad you get it working and you can play with the opacity to get more or less snow but 50% was good enough for me.